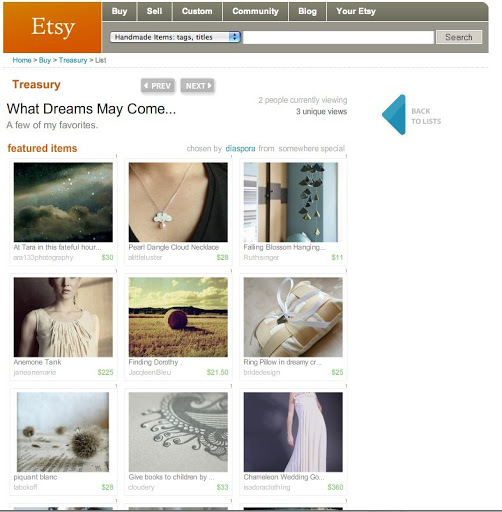 I had a piece listed on an Etsy Treasury page today (one of the book kits – this one the Falling Blossom decoration). Its always lovely to be featured in one of these and this one is in particularly good company. I LOVE the Anenome blouse. Luckily its teeny weeny and wont fit me, so I am not too tempted.